What did Hannibal look like? I’ve suggested that the faces on this cover of National Geographic would be a good start. Then again, we could look at old coins, since those might have been circulating at the time of the person depicted. Here, thanks to the Wikimedia Commons, is one that appears to be of Hannibal. What can I say? He was a stud. Notice that the eye we see is healthy. That would be his left eye. Or are coins minted in mirror image? I don’t know. I bring it up because this means either that Hannibal here was younger than thirty (quite possible if this coin was circulating in Spain before he invaded Italy) or that his other eye would have been shut or otherwise disfigured. That’s because, when he was thirty and already in Italy, Hannibal led his army on a surprising speed-march through a swamp in Etruria, today’s Tuscany. For days, the soldiers, mules, horses, and elephants were wading through water and bog. They couldn’t even lie down to sleep except for short catnaps on top of piles of dead pack-animals. Imagine tens of thousands of men and beasts urinating and defecating into a summer swamp and you get an idea of the nasty infections and diseases that must have been going around in the army. Hannibal was riding on his favorite elephant, Surus (“the Syrian”), which may have been the only surviving one at this point. And he caught a really bad eye infection which festered and blinded one of his eyes. From that point onward, we must picture Hannibal’s face one-eyed. And all the more remarkable for it! By the way, although I’m no numismatist, a very cursory search does suggest to me that the ancients were surprisingly honest in their depictions of the boss. 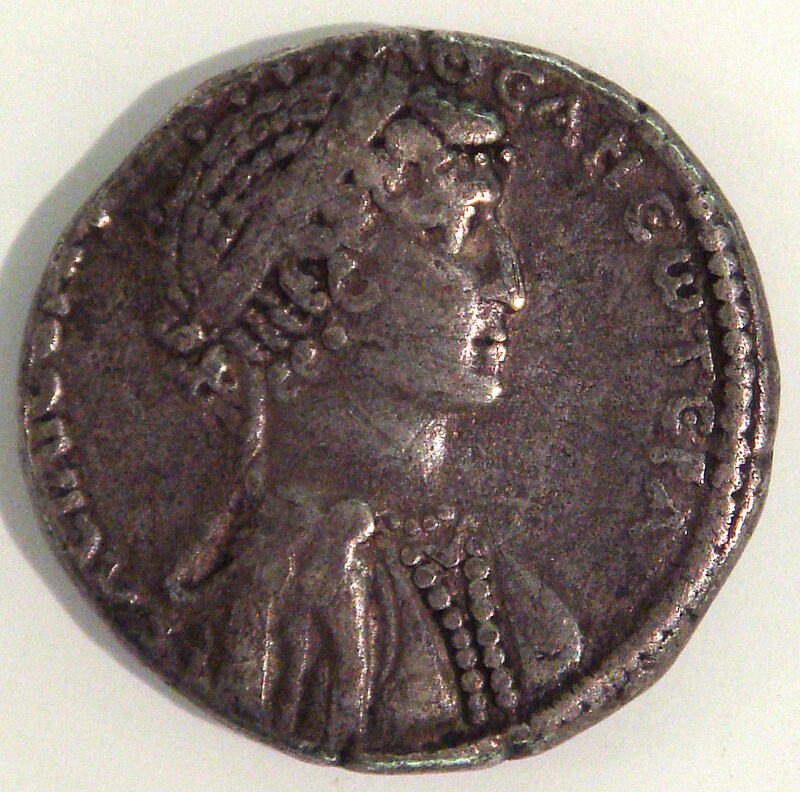 Take, for instance, this coin of Cleopatra. That’s the same Cleopatra who seduced Julius Caesar and Mark Antony. Well, it would appear that she must have had lots and lots of ….. charm!